VIP Polymers Ltd has launched a dedicated German language website to promote its VIPSeal® range of flexible pipe couplings. 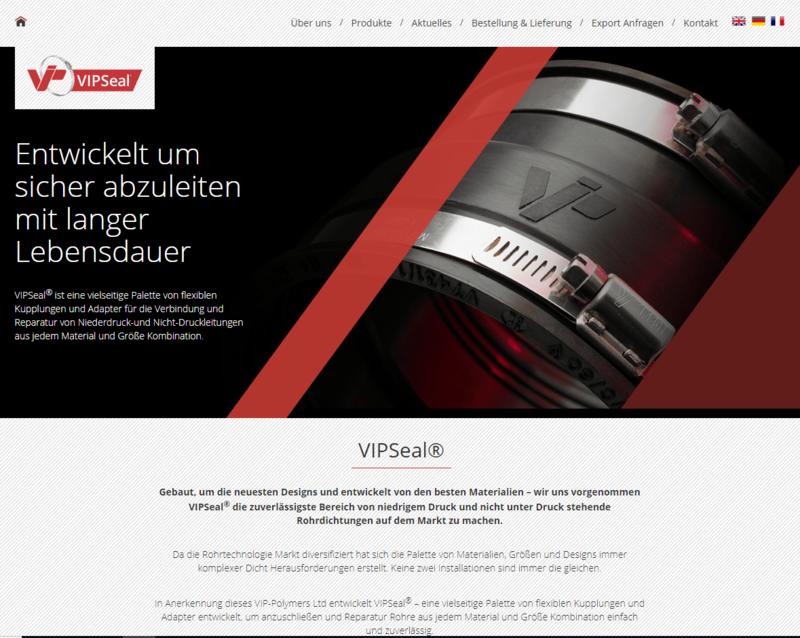 The bespoke website was developed to support the VIPSeal® distribution centre based in Germany and reflects the growing demand for VIPSeal® products in Germany and other German-speaking territories on the Continent. 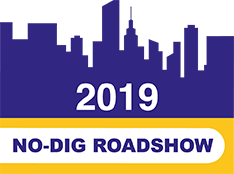 VIP Commercial Director Jon Crean said: “The launch of our new German VIPSeal® website reflects our plans and supports our German distribution centre. In particular, it reflects the growing number of customers our VIPSeal® range is attracting in Germany. As in the UK, German stockists value the opportunity to promote the high quality of VIPSeal® couplings, backed by the assurance that comes from the product being designed, tested, and manufactured to global standards by a single supplier. We have designed our German language website to be a valuable marketing resource for our growing network of stockists in Germany and other German-speaking areas. VIPSeal® flexible couplings are designed for joining and repairing low-pressure and non-pressured pipes of any material and size combination. VIP has end-to-end control of VIPSeal® product design and manufacture, a process that drives high levels of innovation, and underpins its adherence to exacting industry standards. All VIPSeal® couplings are designed and manufactured by VIP in Huntingdon, Cambridgeshire, UK, using high quality rubber formulated and compounded on the same site. The new German-language website showcases all couplings available in the VIPSeal® range including VIPSealChem. The distinctive green VIPSealChem flexible couplings are manufactured to and designed to the requirements of both EN681-1 & EN682 and tested to EN295-4, and can be fitted in precisely the same way as standard VIPSeal® couplings, overcoming significant installation limitations found with other chemical resistant seals currently on the market. 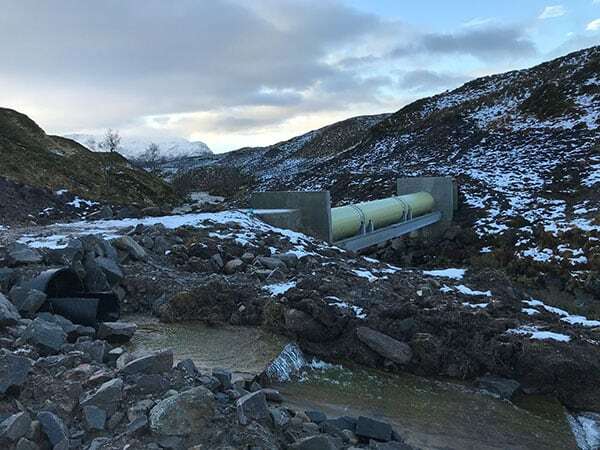 A hydro-electric water pipe that carries water from a river to a power generator has been sealed at multiple points using the no-dig VIP-Weco pipe rehabilitation system.